Soil moisture conditions are now limiting pasture growth, growth of 47kgDM/ha/day for the last week. The potential surplus feed identified last week has been returned to the grazing round allowing us to extend the round from 26 days to 30 days. The pasture quality of the paddocks that were skipped last week were still OK for the milkers but were likely lower in quality because of the higher mass and more seedhead. The decision to graze these needed to be this week before quality declined further. Production has dropped from 1.7 kgMS/cow to 1.6kgMS/cow, possibly as a result of grazing these more mature pastures. Staph Aureus has been identified from milk samples collected at the end of last week. High SCC cows were drafted out and are being milked last to prevent the spread of this infection whilst the control plan is developed in consultation with the vets. The lower terrace is again looking N deficient – looking to confirm our approach on N to support the investment in new pastures from last autumn. Crime prevention! One of our 2-wheel Suzuki bikes was pinched over the weekend from in front of the cottage, during the day. This has prompted a refresh of our policy: Keys will now be removed and bikes locked away during the day if we are off farm and at night. Hub Facebook page has a photo of the missing bike, please show your friends and neighbours. The recent BCS done last week identified 21 animals to add to the OAD list. These animals remain in their herds and walk to the shed twice a day but are milked just in the morning. The feed table shows the level of extra feeding they are offered in shed to manage BCS. Having a few staph aureus cows in a herd isn’t too uncommon, and many farmers tolerate a few. Staph aureus is considered a contagious pathogen so the primary way to prevent it is through good teat disinfection after milking, followed up by antibiotic DCT at dry off or culling. Separating out high SCC / known infected cows / older cows and milking them second is also a useful approach, depending on numbers involved, herd structure and current mob management approaches. Usually only a few strains are in a herd and some strains seem to be more pathogenic than others. We will show The Hub’s vet plan when it is confirmed. The farm team have noticed less area growing seed head possibly related to the different grass cultivars present on The Hub. This has meant less topping has been required after cows have grazed paddocks to control this seed head. Visible increase in clover becoming apparent, farm team to introduce bloat oil as a preventative measure through the dosatron. 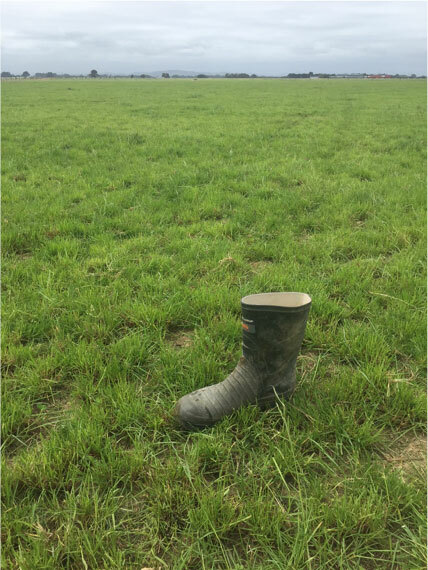 Typical pasture residuals post grazing seen on The Hub this week, and business manager gumboot (clean) for scale! Continuing to monitor crop paddocks for weeds and pests. The fodder beet that was established earlier is looking better than the kale paddocks. All crops and new grass would benefit from some moisture. R2 heifers are split into two lines with Jersey bulls. Due to return to the platform for a few days next week to weigh through the older set of wooden yards. Will update LW’s after weighing. Most of the heifers have been weaned off milk now and are grazing on the platform still. Supplement has been harvested on the young stock block and when there has been sufficient regrowth the calves will join the R2 heifers there. Once again, we have completed our fortnightly herd test and body condition scoring, along with weekly pasture metering. The 12th will be our last fortnightly herd test as we move to a monthly herd test for the rest of the season. 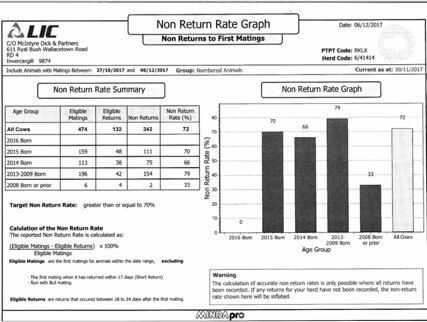 The change of herd test dates is because major changes in milk composition are expected to be seen in the early lactation between wintering treatments compared to later in the season. The next fortnight will be busy with a body condition scoring event on the 14th and 22nd before the Christmas shutdown period. We will also be collecting and analysing pre-Christmas data of body condition scores, pasture measurements, fertilizer applications, weather data, effluent data, grazing records and all data captured by our milking system Delpro.